The days when Apple had a free run for our smartphone hearts and minds are over. It's the first time that Apple's latest offering, the iPhone 4S, encounters a truly competitive field of rivals. The competition is powered by Apple's former partner Google, whose Android operating system for smartphones is rapidly gaining marketshare. Mobile phonemakers, long suffering under Apple's smartphone dominance, have embraced Android with gusto and are jostling to add software and hardware touches that trump Apple's offering. Samsung's Galaxy S II, for example, is already slimmer and lighter than both the old iPhone 4 and the new 4S and arguably has a better screen. Taiwanese competitor HTC, meanwhile, hopes that a clever user interface dubbed HTC Sense will help it to beat Apple. Instead of the iPhone's static icons, HTC has improved Android to offer a raft of rich, dynamic widgets that bring information and functionality directly to the smartphone screen. HTC's Sensation, for example, is currently hard to best in terms of ease of use, not just when compared to the new iPhone but Android rivals as well. For its top-end phones HTC also throws in a free service that allows owners to track and remotely manage their phones, probably one of the reasons why Apple recently stopped charging for a similar service. Android has even allowed Sony Ericsson to get back into the game. 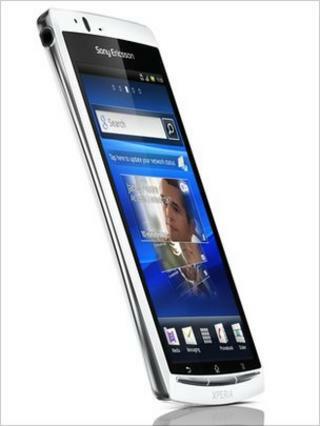 For several years the company and its lacklustre range of phones have been losing market share; now the company is back with the Android-based Xperia Arc S - a well-built and user-friendly phone that can compete with most rivals. Apple also lags in terms of hardware innovation, with several competitors pushing phones that sport 3D cameras and glasses-free 3D screens - like the Sharp 3D Aquos, the HTC Evo 3D and the LG Optimus 3D. Google is also constantly updating Android, and provides the software free to manufacturers. This is not charitable behaviour, of course. Google search is deeply integrated into Android phones, providing healthy profits from clicks on sponsored search results (although a few network operators have begun to point customers to different search engines). The rise and rise of Android is reflected in the market share. According to research firm Gartner, during the second quarter of 2011 Android captured a massive 43.4% of the global smartphone market - up from 17.2% just a year ago. In contrast, Apple's iPhone software iOS gained just four percentage points to 18.2% - mainly by entering 15 new countries and signing up 42 new network operators to sell the iPhone. The big losers are Nokia's Symbian smartphones, Blackberry maker RIM - and Microsoft who is struggling to gain traction for its new mobile operating system Windows Phone 7. Despite Android's advances, Apple still dominates the "mindshare" of the smartphone market. This is less a function of the many Apple fans amongst tech journalists. It's more a question of first-mover advantage and, most importantly, branding. Dozens of manufacturers are now selling numerous Android phones, ranging from the cheap and cheerful to the high end of the market. Apple and its network partners can focus all marketing around a single brand and - now - two devices. No wonder that the iPhone is still seen by many as the benchmark against which other smartphones have to be measured - even though the new iPhone 4S has arguably failed to raise this benchmark in a significant manner. Some of the new features on the 4S have been standard on Android phones for many months. The lack of a big "and one more thing" unveiling by Apple's new chief executive will have been greeted with loud sighs of relief by rivals. Still, any move by Apple creates headaches for competitors. Internal documents of a mobile phone maker seen by the BBC last week showed how worried this company was that an iPhone 5 could steal all attention from the forthcoming launch of its top-end Android smartphone. Amidst all the Android and iPhone frenzy, spare a thought for Microsoft. A year ago and to considerable acclaim the software giant launched an all-new mobile phone software, Windows Phone 7. The operating system broke new ground in terms of usability, with a fresh look and many clever little features that neither Google's nor Apple's developers had thought of. Considering this was version one of the software, it was surprisingly polished. So far, Microsoft has had little commercial success in return for its efforts. But Microsoft hopes that it can still challenge both Android and iPhone. After ironing out a few software wrinkles it has just launched Windows Phone 7.5, also known as Mango. It's a compelling offering. The software delivers a deep integration with social networks like no other phone. Short messages exchanged with a friend - whether on SMS, Facebook or Twitter - will show up in one thread chronicling the conversation, regardless of which service was used. A contact stored on the phone shows not just address and phone number but the most recent Facebook, Twitter and LinkedIn status updates too. And the diary is easier to use than any other. However, Microsoft's fresh assault on the smartphone market is slow out of the starting blocks. Mango was presented to the public many months ago. A few handset makers have announced a handful of new Windows phones. The first HTC phones running Mango are only now - slowly - arriving in the shops. Microsoft's new best friend, struggling Finnish phone company Nokia, won't launch its first Windows phone before 26 October, at Nokia World in London. Apple, in contrast, is set to bring the iPhone 4S to market in less than two weeks. As operating systems and mobile phone makers jostle for position (don't forget RIM's Blackberry, about to roll out a range of handsets with a new operating system) it may be neither clever software nor stunning hardware that decides who will win the smartphone war. The clincher will be the services connected to smartphones. Just as Google uses Android to lure people into their ecosystem, from email to media storage to YouTube videos to documents, Apple tries to lock in its customers into the world of iTunes and iCloud services. Surprisingly, it is Microsoft that is offering the most open mobile phone ecosystem right now. Consumers should be able to cherish this fierce competition. They may not get the chance. As iPhones, Androids and other devices rush to market, the patent lawyers of all sides are gearing up for epic court battles over patents and protected designs. Not all that we'll see presented on stage will reach consumers' hands.